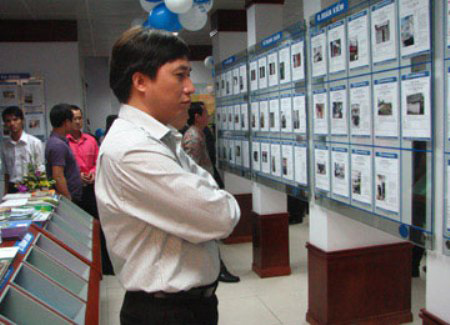 Hanoi’s Department of Construction will carry out regular inspections over real estate brokerage houses with the aim of heightening their efficiency. The decision was made after it was discovered that less than 10 transactions per brokerage house were completed in the last few months. Statistics from a total of 480 brokerage firms across the city showed that around 3,600 transactions were conducted in the first nine months of this year. When these number are compared with the number of brokerage houses, it equals less than 10 completed transactions each over a nine-month period. The first half of the year was a bit more active than the third quarter; 2,700 transactions took place in the first half, but only about 900 in the third quarter. Only adding to these problems are gloomy forecasts for the fourth quarter. According to Tuan, the urban real estate market is still unstable because of speculation and price manipulation. The result, he said, is a slowdown in the market in general. In order to improve the situation, the department has proposed that the municipal government issue clear criteria for real estate-based lending. He added that a fund should be set up to ensure housing for low-income families.